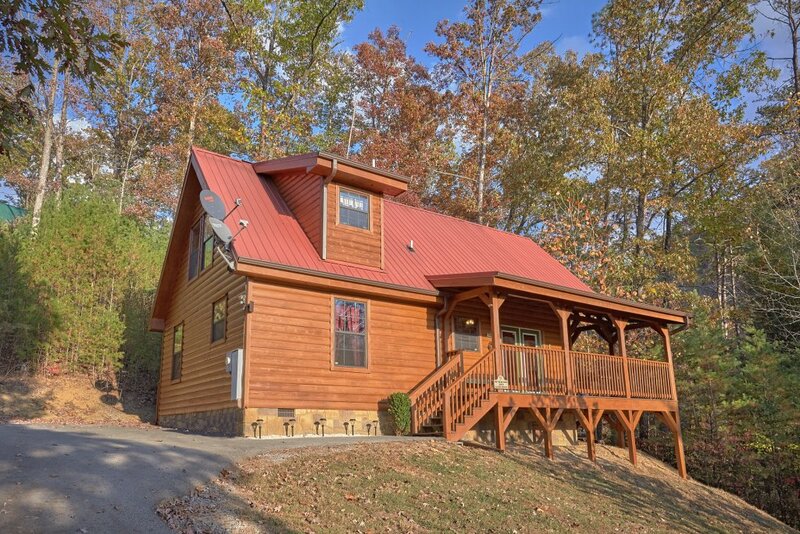 Location: Situated half way between Pigeon Forge and Gatlinburg, TN (rural wooded setting about 7 miles from Gatlinburg / Arts & Crafts) located behind Dollywood theme park, off Birds Creek Road. 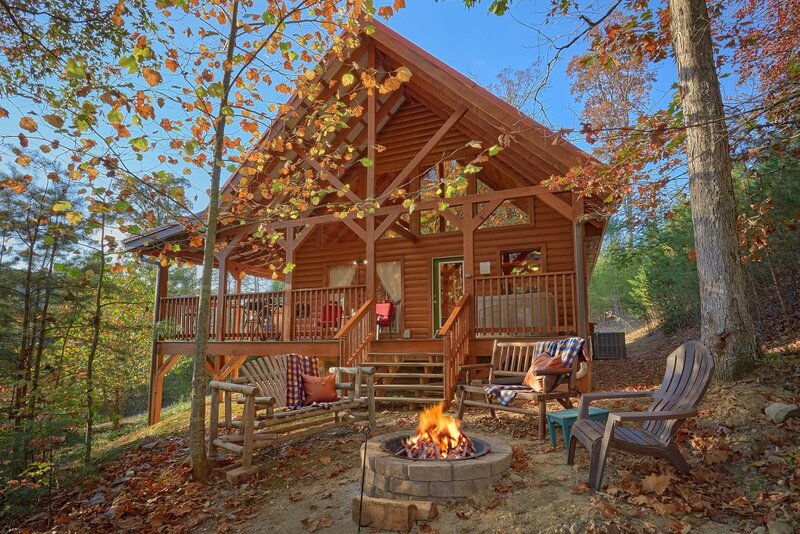 Wow, this is an amazing Smoky Mountain Cabin! 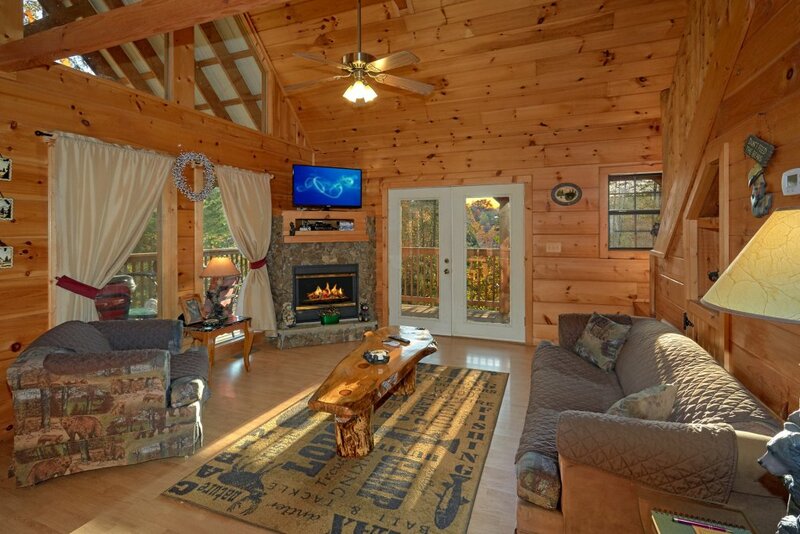 This cabin is less than 15 minutes from both Gatlinburg & Pigeon Forge. 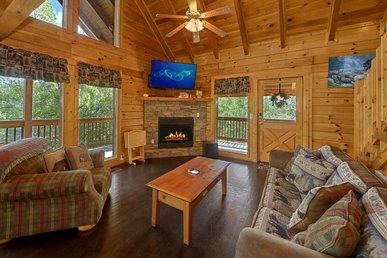 It offers a remarkable array of amenities, quality furnishings and decor, while still offering seclusion for a great vacation! 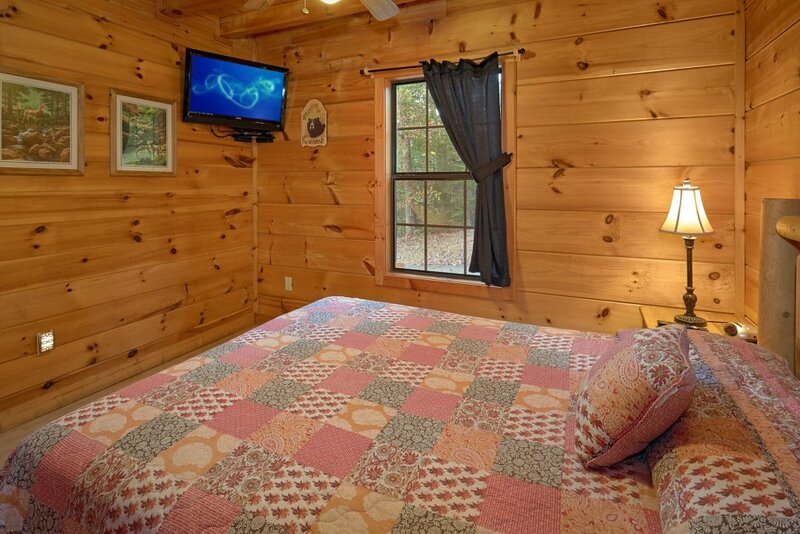 This cabin has newly replaced it's living room furniture, with premium sleepersofa in the living room! 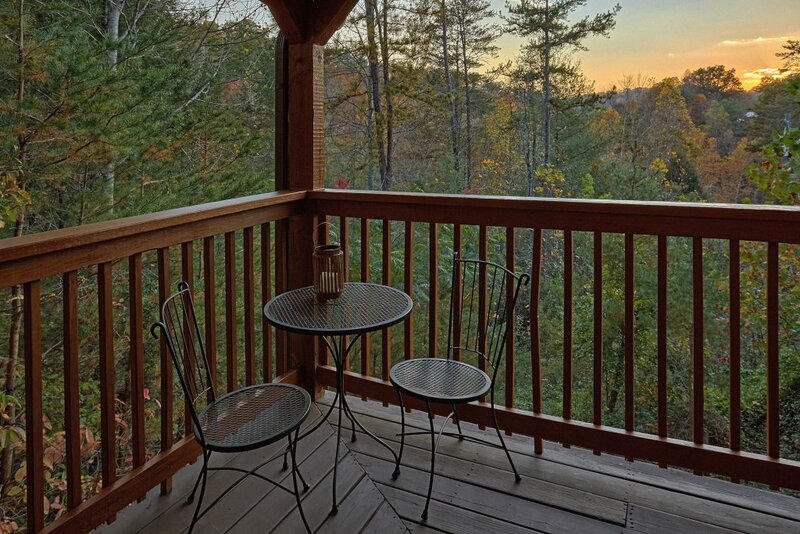 Take in the nature as you travel to your cabin rental in the Smokies. 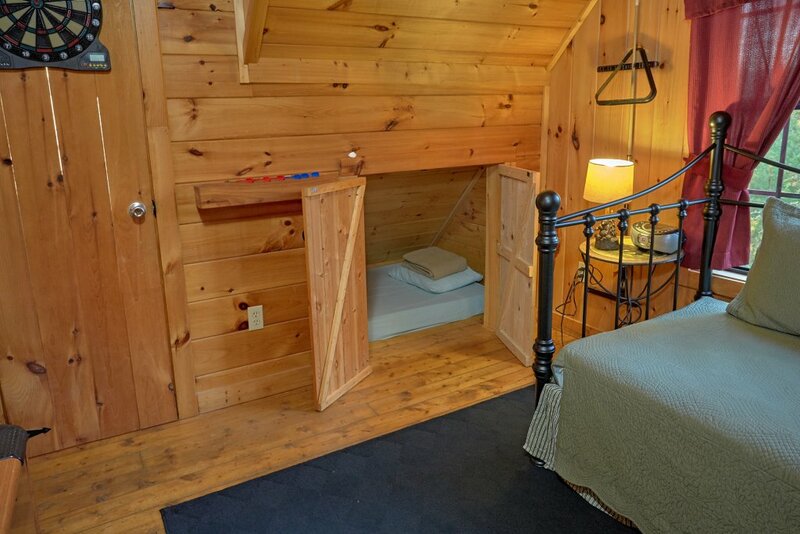 You will enjoy the peace and quiet that awaits you at this vacation cabin. 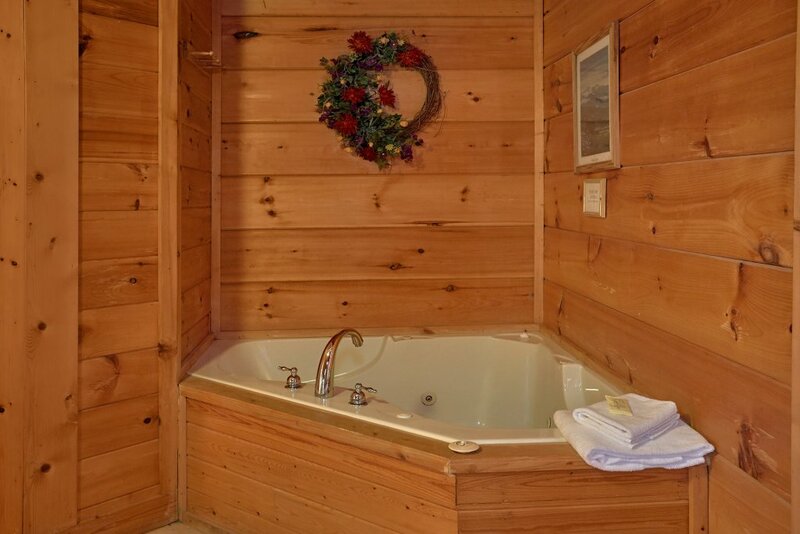 If you shopped til you dropped, come back to the cabin and relax with a soak in the hot tub. 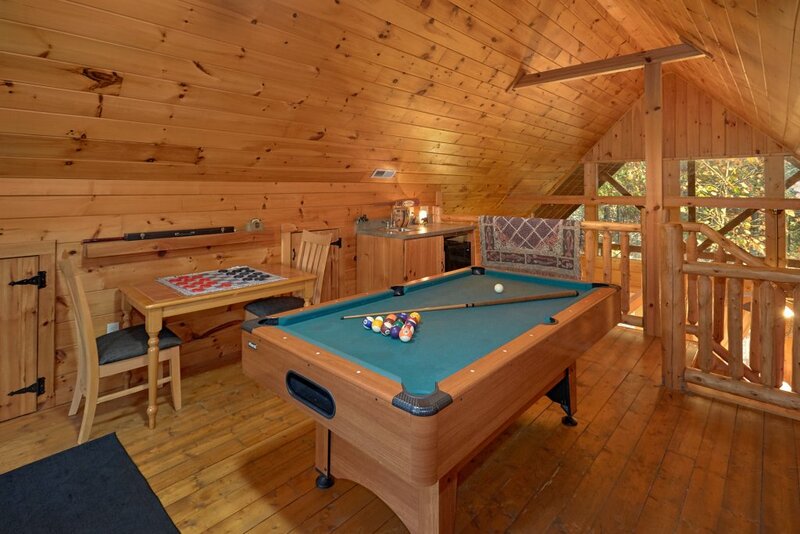 The kids can also enjoy the pool table or the Nintendo system with games provided (DVD and kids moview provided). 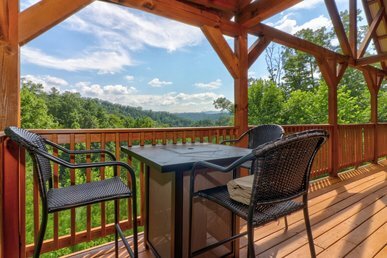 This pet friendly cabin has a wonderful 1 acre wooded lot, which has a large sloped yard for them to enjoy. 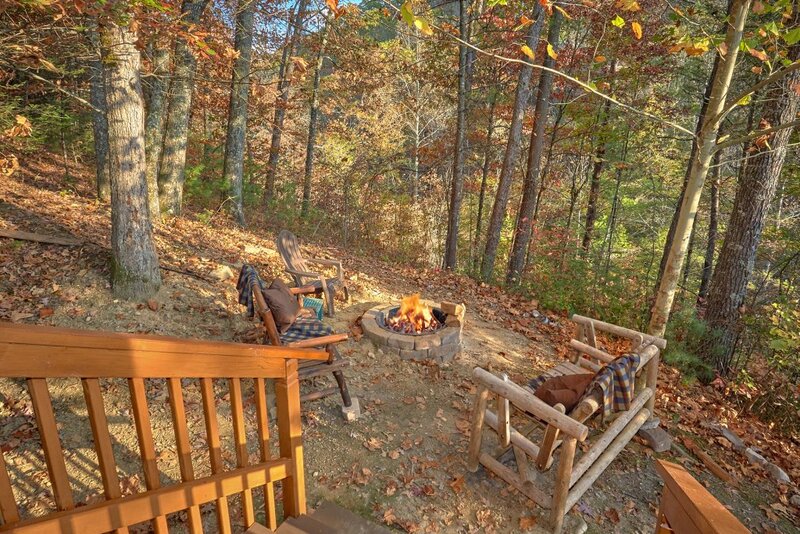 There is a fire pit area with a log glider and bench to enjoy the evenings. 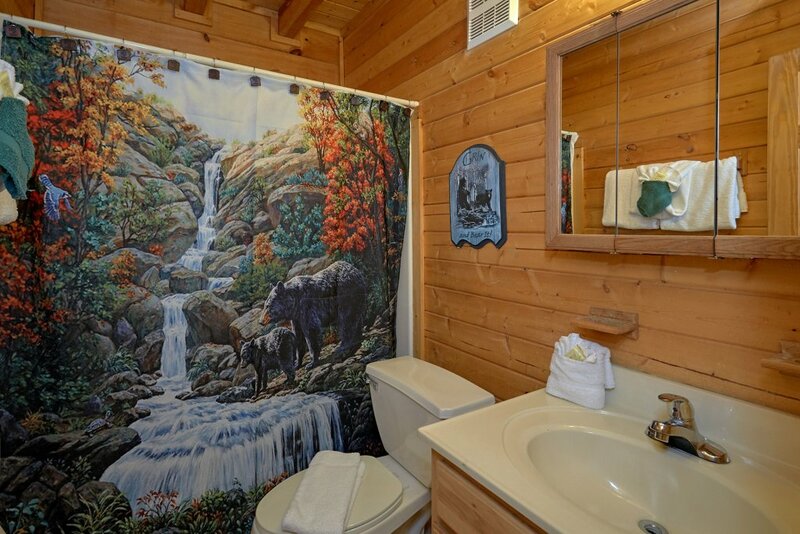 Who knows, you might even get to see some "Wet Bear Paws" during your stay! 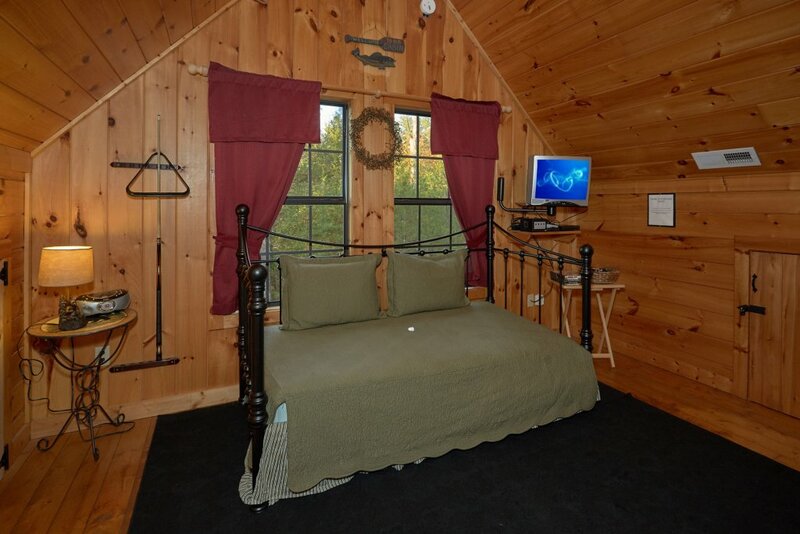 This cabin is semi-private on a spacious one acre lot. 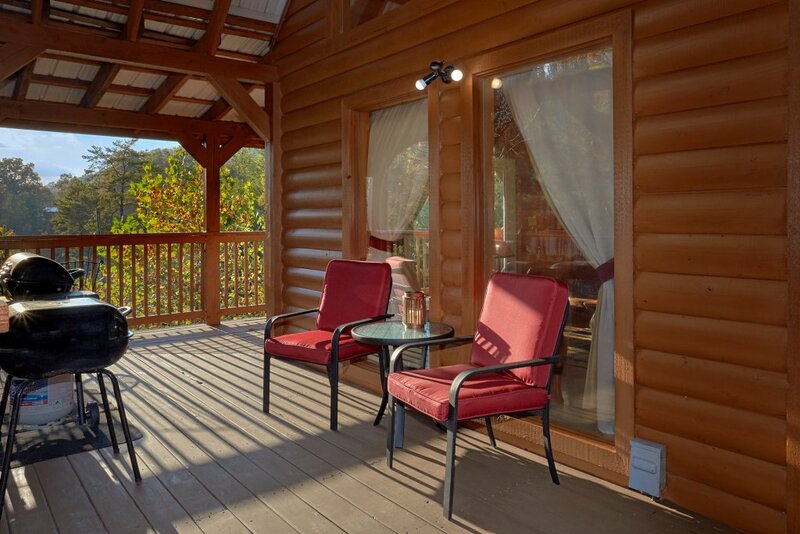 Drive to Gatlinburg just 8 miles away or run up to Dollywood only 7 miles away for some fun-filled rides. 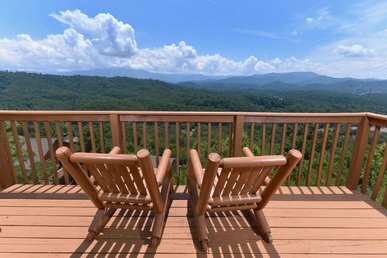 This spacious vacation cabin offering 2 bedrooms plus a loft: 1 full and 2 half baths (Jacuzzi Tub in the master bedroom) is the one for you if you are looking to escape to the Smokies, while still having pleasant luxury cabin accommodations! 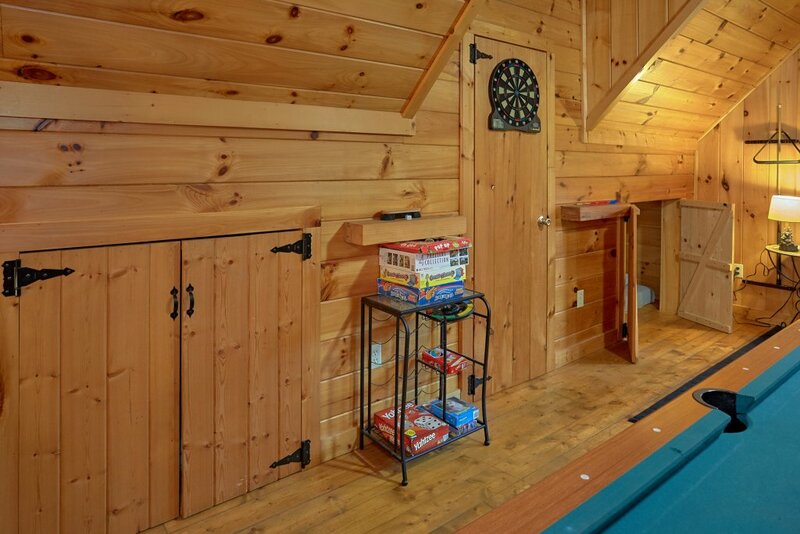 Price is based on 4 adults. Each additional adult is $12.50 per day. Must register pet at time of reservation! 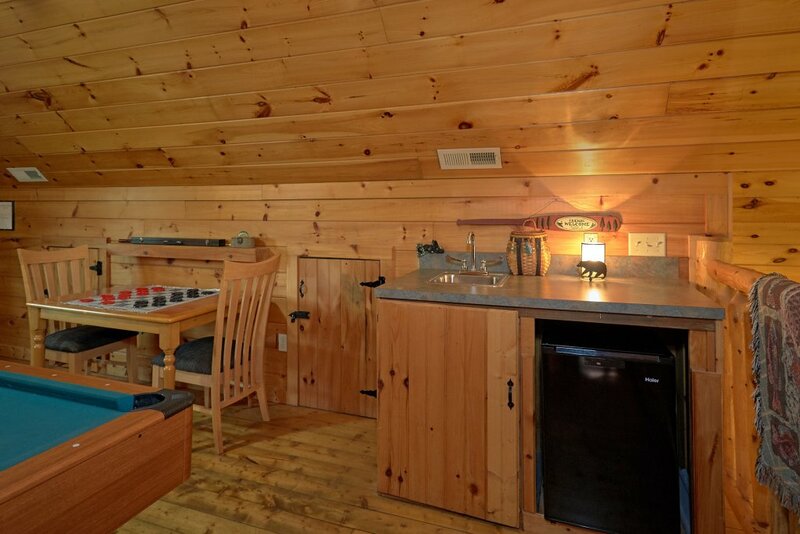 Overall a great cabin and location. You could tell no one has been there in awhile lots of dead bugs on floor. It was great. 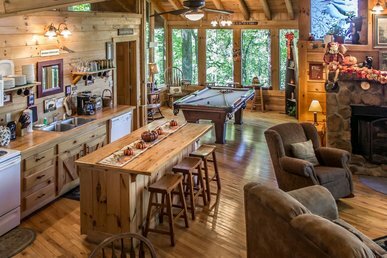 We really enjoyed the cabin. The location was very good. Very quiet and peaceful. Not near as good as our past 2 visits. 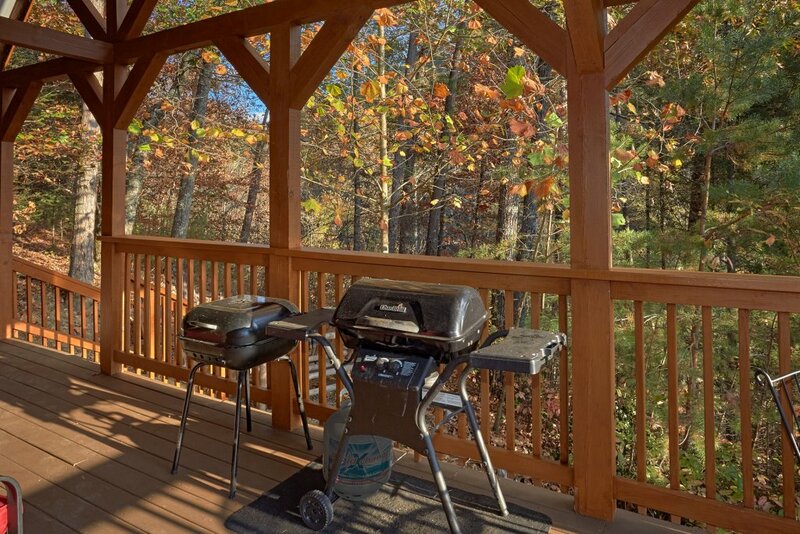 We were planning to grill the first night but there was no propane. 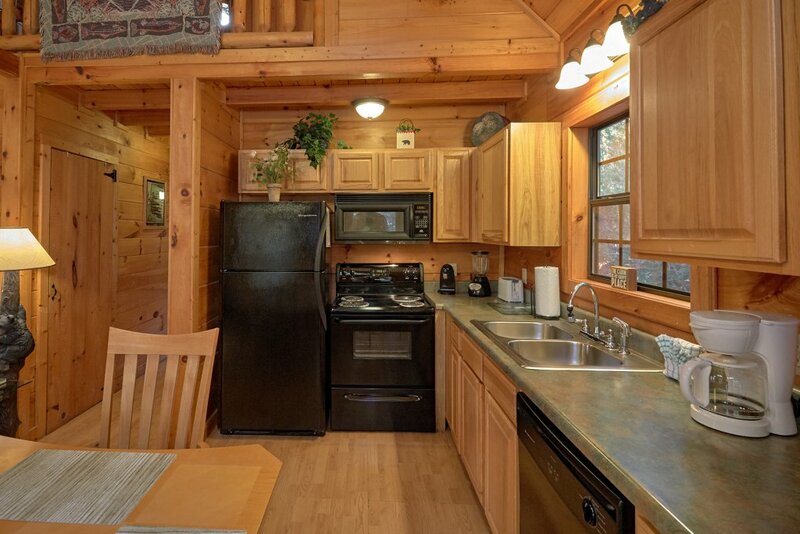 The cabin had many lady bugs. The queen mattress was the worst mattress we have ever tried to sleep on. It needs to be thrown away. 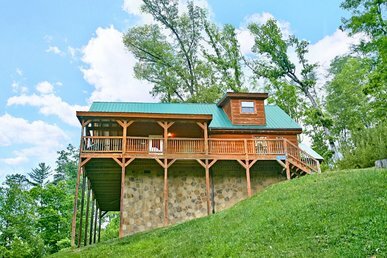 Very nice cabin located in a very quiet area, away from traffic and 15-20 minutes from Gatlinburg and Pigeon Forge. 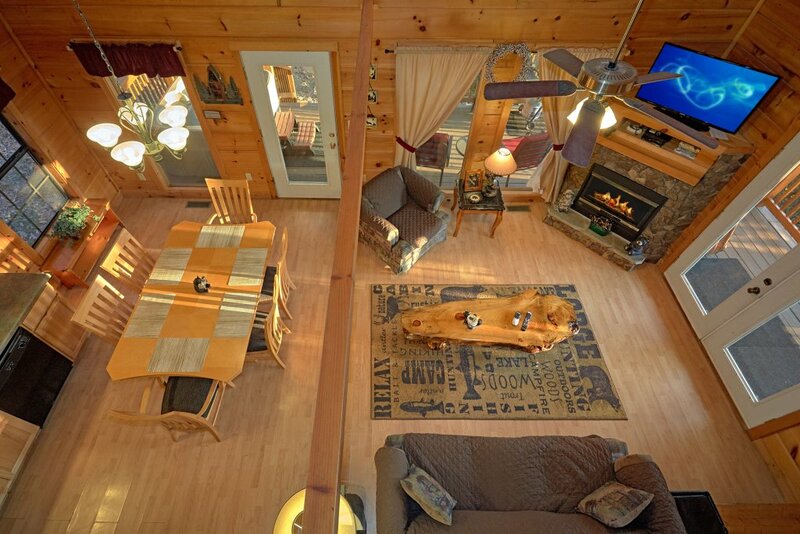 We will definitely stay here during our next trip to the area. 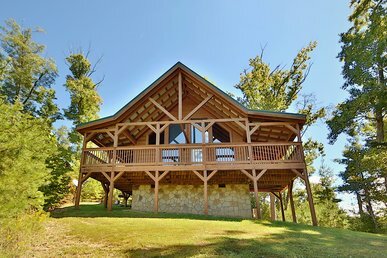 It was a great place for a quiet retreat. 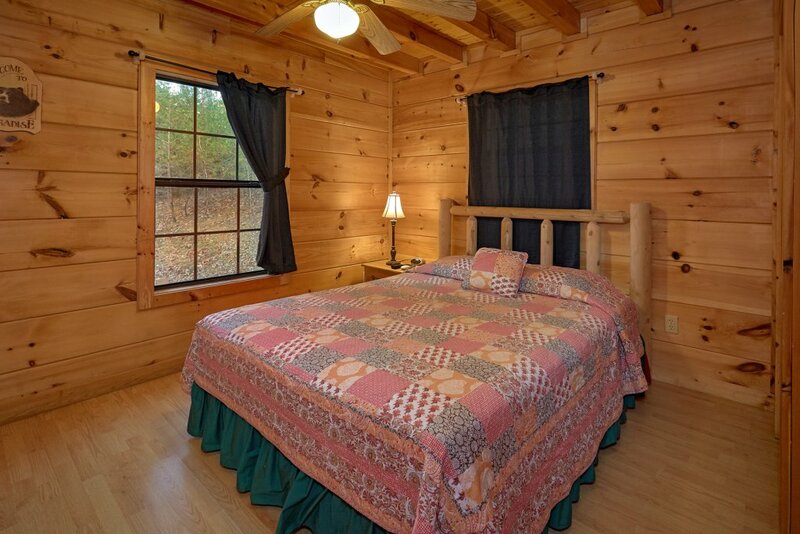 Very cozy, clean and comfortable. 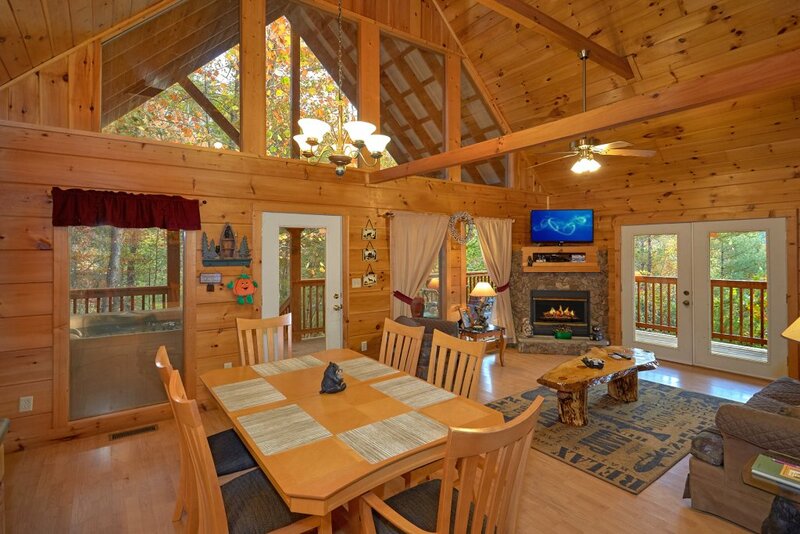 Location was great as it was in between both Gatlinburg and Pigeon Forge. We will definitely be coming back! We had a great time being with our family. 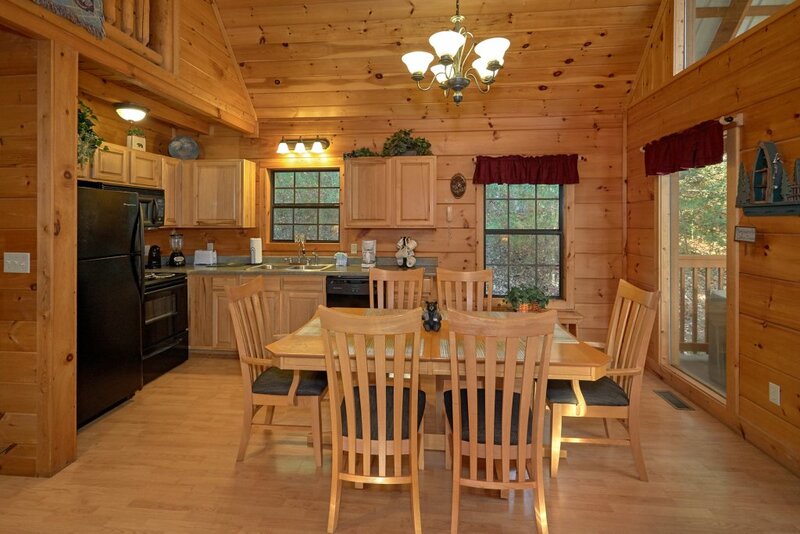 The house was nice, but nowhere near what it looks like in the pictures -- very deceiving. I suggest more honesty in the advertising. 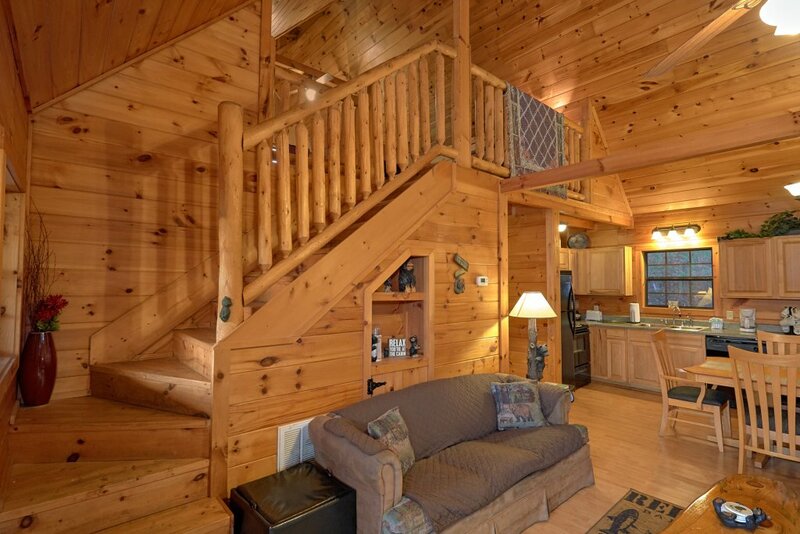 Beautiful cabin, all amenities we needed were available, very clean, easy check in & out, close enough to parkway yet secluded. 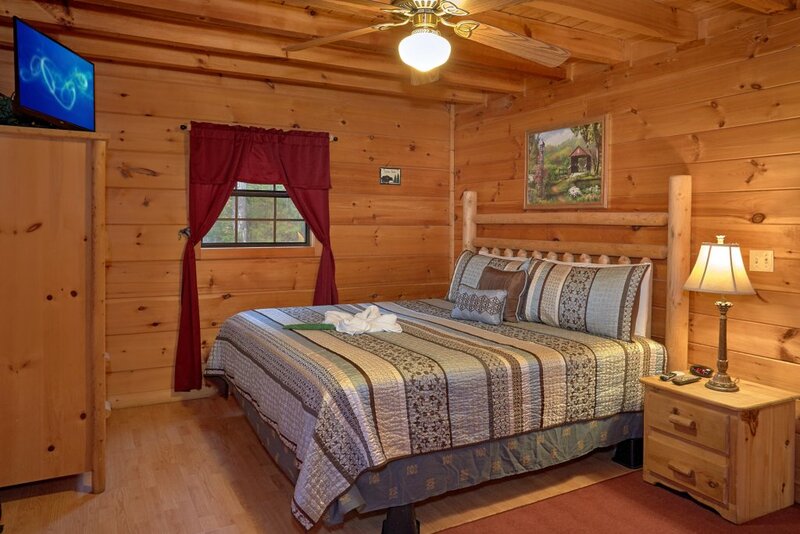 We are glad to hear that you enjoyed your stay, and we look forward to seeing you again soon. 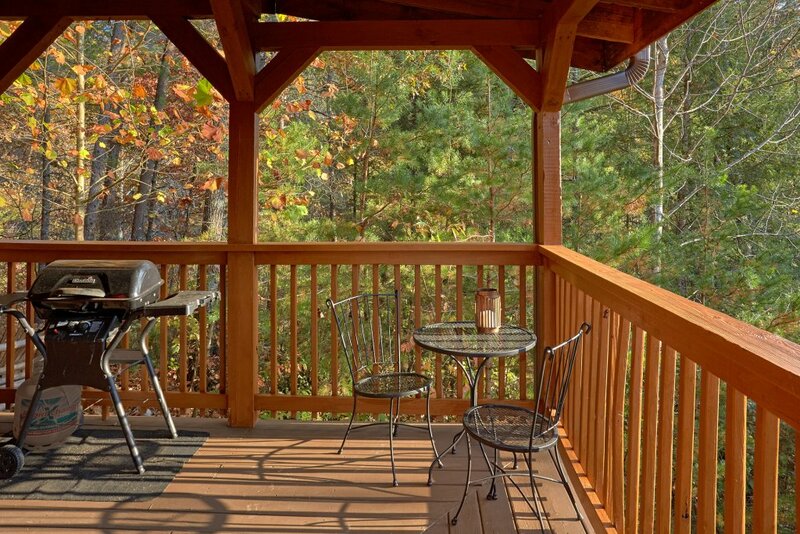 Make sure to mention you are a repeat guest for additional savings on a future booking. Thank you for the valuable feedback. Awesome reservation staff! 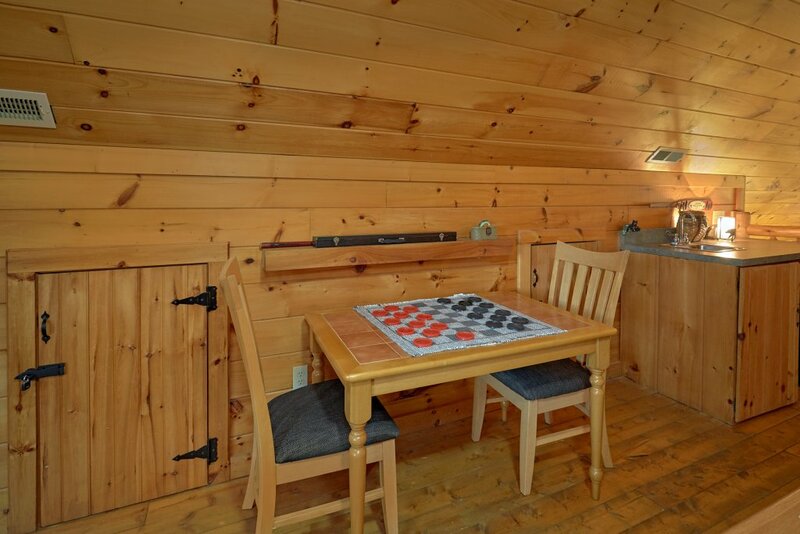 Cabin could've been cleaner...dusty floors and walls, previous renter's clothing articles beside washing machine :( Outdoor furniture not impressive. 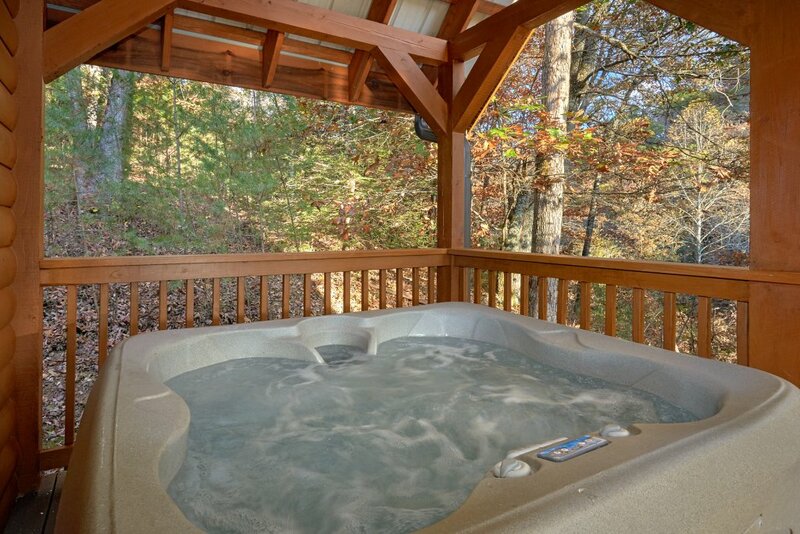 Hot tub cover in desperate need of replacing! 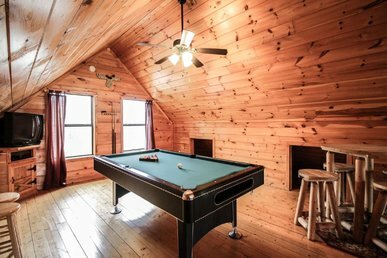 The cabin was veey clean. It was peaceful and quiet. 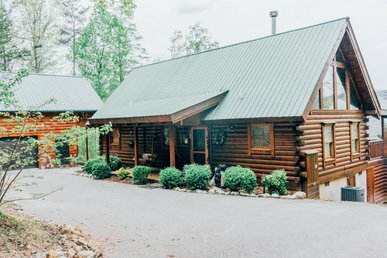 We really enjoyed our stay. It had everything we needed and more. I love how a journal of prior people that stayed was there.